At Enchanted Travel, we pride ourselves on being able to provide reliable insights on destinations around the world. That’s why our agents specialize in specific countries and areas. All of our agents are skilled and experienced in creating the perfect vacation, honeymoon, or destination wedding for any location you desire, but some of our agents are part of our team of Europe specialists. Whenever you call in for information on a Europe vacation, we will pair you with one of our Europe specialists. We are constantly working on growing this team, so don’t be surprised to see this group grow in the next few years. Read on for more details on our team of Europe specialists! Our Europe specialist Graci specializes in Italy and France. She has visited these countries and has also been to Munich for Oktoberfest. Next month she will be joining our manager Kyle Smith for a familiarization trip in Ireland. Graci also specializes in the Caribbean, Mexico, and Hawaii. She has tons of experience in booking destination weddings and honeymoons as well. She recently planned an epic Hawaiian honeymoon for her sister. Graci’s love for travel and specifically for travel to Europe started well before she began working with us at Enchanted Travel. “The combination of culture, history, and way of life continue to make Europe vacations some of the most memorable and fulfilling experiences for me,” she explains. We value her passion for travel and attention to detail in every vacation she plans. You can read all about Graci’s most recent European getaway in this blog post detailing the ten days she spent in France. Don’t miss the section on ‘Where to Stay’. Here you can find a detailed description of Graci’s favorite hotel in Europe, Hotel Providence Paris. You can also read up on everything Graci ate during her time in France last year in ‘Where We Ate: France’. Erin is another member of our Europe Specialists team. She specializes in Ireland, England, France, Germany, Italy, Greece, Netherlands and Belgium. She has done a lot of traveling throughout Europe, visiting Frankfurt, Munich, Amsterdam, Brussels, Rome, Bosnia and Dubrovnik. Her next European getaway will be to Paris and London later this year. We value her expertise and first hand knowledge on a wide array of European countries. 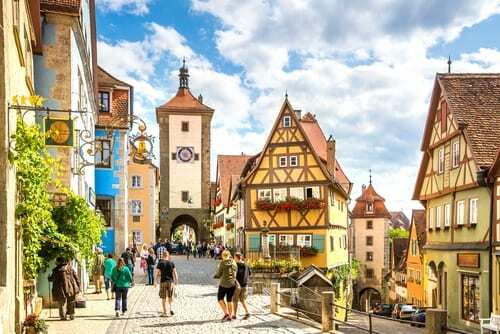 Her experiences in Europe have helped her in preparing trips for her clients to Ireland, France, England, Germany, Italy, Greece, Czech Republic, Austria and Switzerland. 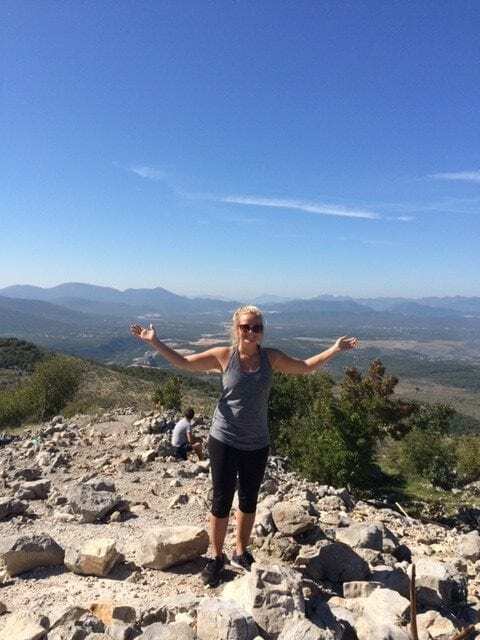 Erin’s love of travel and Europe began before she became an Enchanted Travel Europe Specialist. “I love talking about Europe and the widespread history throughout the continent. Each city has many different things to offer and different cultures”. She is a great person to work with if you want to travel to many different countries in Europe. Although it is tough to choose, Erin’s favorite European destinations that she has visited are Amsterdam and Munich. Her favorite previous trips she has booked for clients are to Santorini and Mykonos. Her favorite hotels are in London and Berlin. In London, she likes St. Ermins. In Berlin, she likes to stay at and send her clients to Hotel Zoo. Jacki is another Europe Specialist that works in our office in Omaha. She brings a unique perspective to European travel because she lived in Germany for three years. During her time overseas, she was able to visit several areas throughout Germany, Austria, France, the Netherlands, the UK, Italy and Switzerland. It has been 15 years since she lived in Germany, but her passion for European travel has stuck with her. “I love Europe: the history, food, people, scenery – all of it is so beautiful.” We don’t disagree! We value her unique perspective and expertise, and we are lucky to have such a knowledgeable member with so much first hand experience on our team. If she had to choose, her favorite destinations in Europe are Bavaria in Germany and Salzburg, Austria. She also loved Portofino, Italy and Cinque Terre. Her favorite hotel that she has stayed at was in Nice, France. It was a Radisson Blue property that had a rooftop pool overlooking the ocean. Our owner Lori developed our Europe Specialists Team over the last 20 years and has grown our business from being mainly honeymoons and destination weddings, to selling vacations all over the world. She loves to travel to Europe and works primarily on Europe trips now. She has traveled throughout Italy, France, Switzerland, Spain, the UK, Ireland, Greece, Croatia and Montenegro. Her most recent trip in 2018 was her biggest European getaway yet. Her and her husband, our other owner Kem, traveled all throughout Italy, Montenegro, Greece and Croatia with a group of friends. They started in Florence, which is one of Lori’s favorite cities in all of Europe. Next, they went to Cinque Terre and Venice. They booked the Norwegian Star cruise from Venice to Croatia, with stops in Montenegro, Mykonos, Santorini and Corfu. 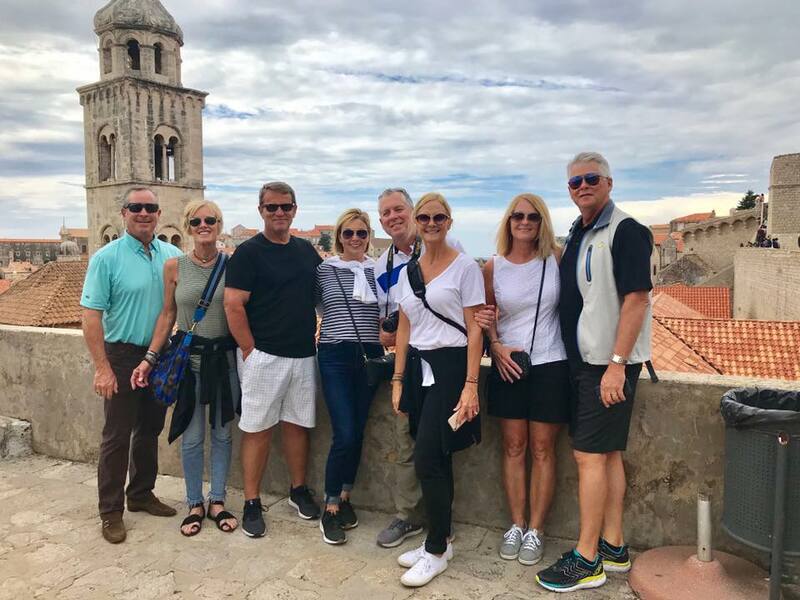 Their cruise ended in Dubrovnik, and it made for the perfect finale to an incredible trip. You can read full details on what they did here, where they stayed, and some of their favorite restaurants in this blog post: The Trip of a Lifetime: Italy, Montenegro, Greece & Croatia. Call us today at 402-390-9291 to book your next European getaway with one of our European Vacation Specialists.